Samsung heir and acting chief Lee Jae-yong will not be arrested as part of a sweeping inquest into the alleged indiscretions of impeached South Korean president Park Geun-hye, some of which include accepting corporate bribes in exchange for political favor. A South Korean court on Thursday local time turned down a request for Lee's arrest lodged by the special prosecutor in charge of investigating Park's wrongdoings, reports Bloomberg. Seoul Central District Court Judge Cho Eui-yeon in a statement said an arrest was unnecessary. "After reviewing the contents and the process of the investigation so far ... it is difficult to acknowledge the necessity and substantiality of an arrest at the current stage," he said, according to a separate report from Reuters. The decision allows Lee to remain in control of Samsung Group as the sprawling conglomerate attempts to stabilize operations after its chairman, and Lee's father, Lee Kun-hee suffered a heart attack in 2014. Samsung is also reeling from the aftermath of last year's Galaxy Note 7 debacle. On Monday, prosecutors handling Park's case said an arrest warrant would be sought for the younger Lee on suspicion of bribery, embezzlement and perjury. Lee is accused of paying bribes of up to 43 billion Korean won ($36 million) to non-profits linked to Park confidante Choi Soon-sil. 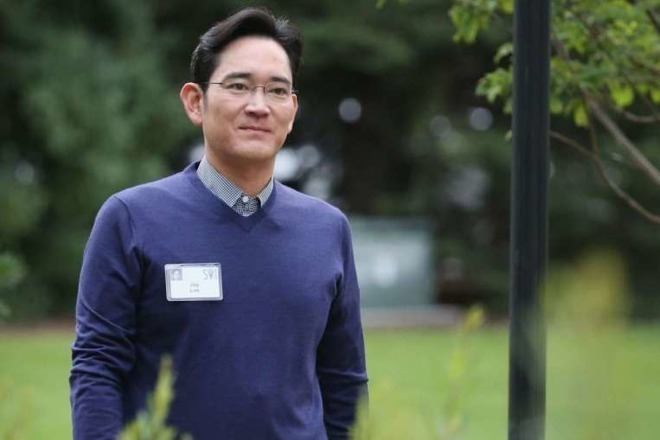 The money, some of it alleged to have been embezzled from Samsung's coffers, supposedly paid for Park's blessing of a merger between two Samsung affiliates in 2015 that consolidated the younger Lee's power in the chaebol. Samsung's alleged contributions to Park and Choi are a small part of wide ranging corruption scandal that led to Park's removal from power in December. LG, Hyundai and other top South Korean corporations and governmental bodies are also under investigation, all willing or forced participants in the nation's bombshell influence-peddling scandal. As for today's court decision, Samsung said it appreciated "the fact that the merits of this case can now be determined without the need for detention."